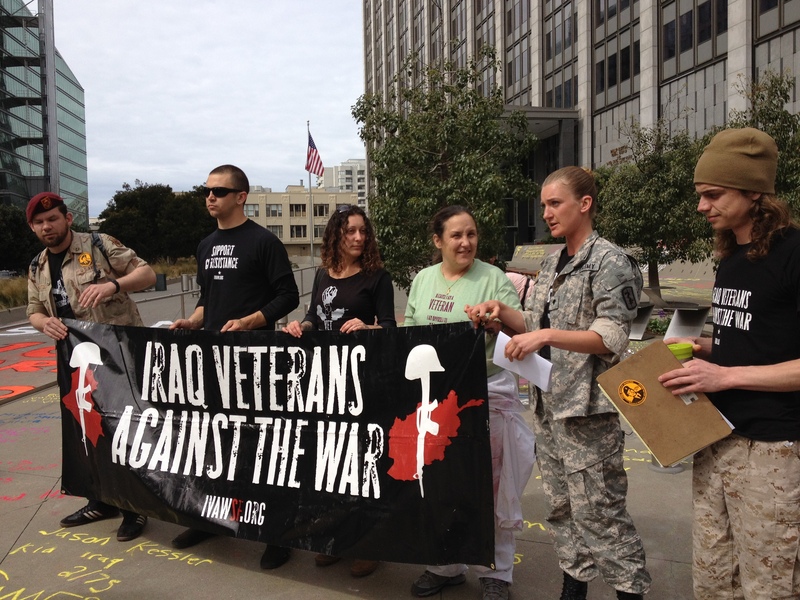 I heard from vet/activist Lisa, who requested a chalk for an action the IVAW (Iraq Vets Against the War). 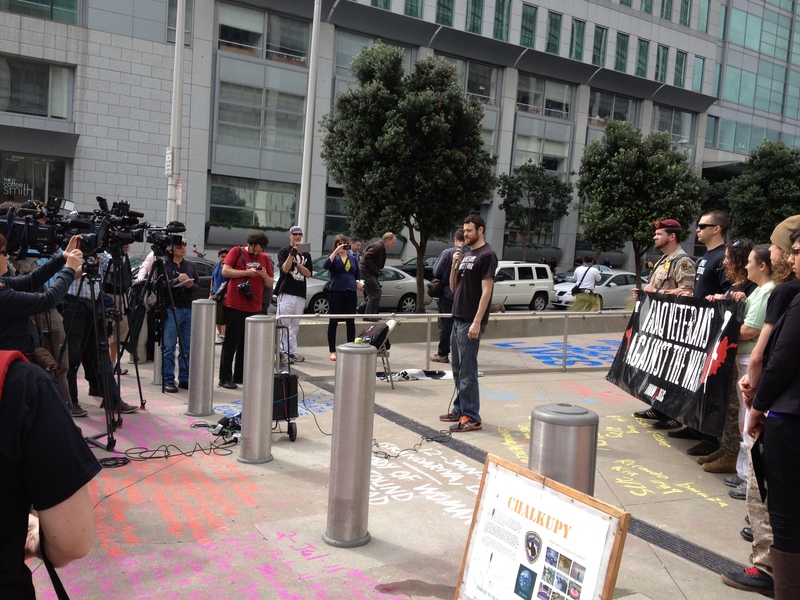 I went to one of their meetings to explain Chalkupy to them. They were very organized and the meeting moved along quickly. I had planned a river of blood with things floating in it for that day but this was the day that the other members of FJP didnt’ show up and I left the group. Monique was the only experienced chalker there. 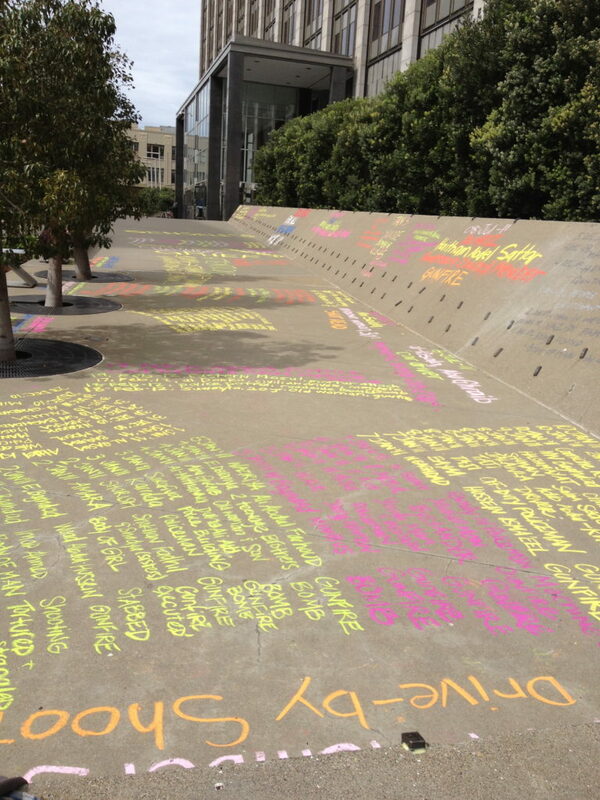 In the end we just chalked the names of people who had died in the war. It was a lot of names and covered quite a lot of space. Lisa was happy with it even though I was pretty bummed. Lisa and I became very good friends. IVAW vets. Lisa Ling third from right, Scott Olsen, far right.